“They didn’t wind down and tell suppliers they were going out of business, they increased the amount of inventory over what they would have ordered, bulking up at the expense of the suppliers,” said Brzezinski… “The dilemma that faces the suppliers, of course, is that a $1.9 billion inter-company claim is now added to the liabilities of Target Canada, which essentially swamps the suppliers’ claims totaling approximately $400 million,” according to the Blaney company blog. A basic question raised in the suppliers' list of questions is whether the company stocked up stores with inventory it is now selling to pay debt to a Target-controlled entity, Target Canada Property LLC (Target Propco), whose claim swamps the supplers' own. Target Canada suppliers have a long list of questions they want the insolvent retailer to answer — 61 in all. The questions centre around the timing of the insolvency, declared Jan. 15. 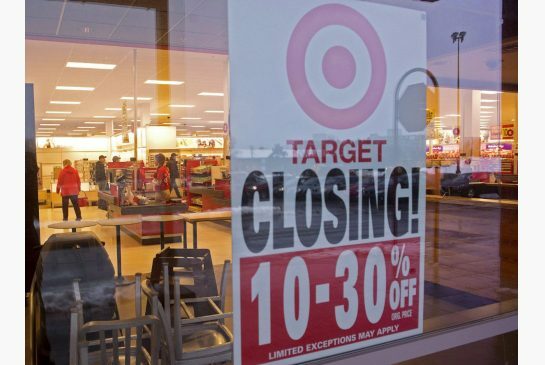 Target is in the process of liquidating all 133 stores across Canada. “When did Target Canada and Target Corporation first begin considering closing down its Canadian stores and seeking insolvency protection,” reads one of the questions. Ontario Superior Court justice Geoffrey Morawetz ruled on Feb. 19 that suppliers had until Mar. 2 to provide questions to the insolvency monitor and Target Canada (TCC). The scope of the questions was confined to issues related to goods shipped in the 30 days before the insolvency was declared; inventory orders while creditor protection was being considered, and issues related to the timing of the discussions and decision to seek creditor protection. The questions must be answered by Mar. 16. TCC can also refuse to answer, providing reasons why. “We received this document late yesterday and are in the process of reviewing it,” according to Target spokesperson Molly Snyder. Among other things, suppliers are asking for the minutes of board of director meetings for Target Canada and Target Corporation between September, 2014 and January, 2015. “We want to see whether, when they ordered these goods, did they know they would be seeking the court’s protection under the CCAA (Companies’ Creditors Arrangement Act) and be unable to pay for the goods,” said Lou Brzezinski, a lawyer at Blaney McMurtry LLP. Brzezinski represents five suppliers owed approximately $10 million. “They didn’t wind down and tell suppliers they were going out of business, they increased the amount of inventory over what they would have ordered, bulking up at the expense of the suppliers,” said Brzezinski. He points to the fact that Target inventory on Dec. 15 was $623.1million and a month later, after the busiest season of the year, it was $526.6 million. “Tons of new stuff was ordered in those 30 days. I have clients who received purchase orders for tens of thousands of dollars on Jan. 7,” said Brzezinski. Blaney McMurtry was given the task of collecting questions from suppliers. “Several suppliers have indicated that Target Canada purchased more than twice the average inventory volume between Dec. 15, 2014 and Jan. 15, 2015. What is your explanation for the significant increase in inventory orders during the 30-day period preceding the (insolvency),” reads one the questions submitted by suppliers. “We have received concerns from several suppliers that the debt outlined in the revised creditors’ list, dated January 15, 2015, grossly underestimates the actual balance owed to creditors,” reads the short preamble to another question. “Why were some vendors paid by cheque in the 30 days prior to the filing, despite having been previously paid by alternate methods, such as Electronic Funds Transfer,” reads another. Another concern, according Blaney McMurtry LLP, which is maintaining a blog on the court process, is that TCC subleased its properties to a related company called Target Canada Property LLC (Target Propco). TCC is now claiming to owe that company $1.9-billion as a result of terminating the leases early. “The dilemma that faces the suppliers, of course, is that a $1.9 billion inter-company claim is now added to the liabilities of Target Canada, which essentially swamps the suppliers’ claims totaling approximately $400 million,” according to the Blaney company blog. “Now, more than a month after the Initial Order, the creditor landscape shifts significantly so that this inter-company debt is the primary, and by far the largest, debt. Blaney is trying to get as many suppliers as possible to join a committee of suppliers to increase their influence. In New York yesterday, Target’s Chief Executive Officer Brian Cornell laid out plans to improve the retailer’s merchandise and trim costs through job cuts. He also forecast profit for the current year that beat most analysts’ estimates. Profit per share in the year through January will be $4.45 (U.S.) to $4.65, he told a presentation to Wall Street analysts. Cornell is refocusing Target on key categories of merchandise to win back customers. “We’re in the early stages of a shift in our business,” Cornell said in the presentation, his first major address to Wall Street. To boost sales, special attention will be paid to improving Target’s baby, kids, wellness and grocery sections, Cornell said. The grocery revamp will entail improving assortments of granola, yogurt, candy, snacks, coffee and craft beers. Target also will accelerate the opening of smaller-format locations to cater to city-dwellers.